Gateway Supply was established in 2005. Located in Pampa, Texas, we are the U.S. Distributor for the Deckmate Ladder. Deckmate Ladder from Gateway Supply can easily hook onto existing rub-rails. For trailers without rub-rails, Gateway Supply offers a bolt-on bracket designed specifically for the Deckmate Ladder that can be purchased separately. These brackets work great for dump trucks and straight trucks and trailers. 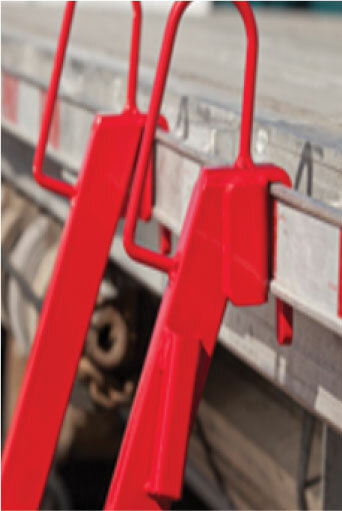 Multiple brackets can be bolted to a trailer, giving you virtually unlimited access to your load. The brackets mounts are only 2 1/2 inches deep to avoid interfering with loading docks. The Deckmate trailer ladder from Gateway Supply has been approved by MHSA, the U.S. Department of Labor’s accident prevention program and has won the MVP (most valued product award). 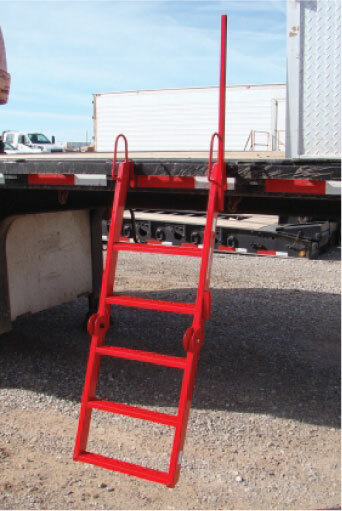 Since 2005, the Deckmate safety flatbed trailer ladder has been used by the U.S. Government, including all branches of the military. Other satisfied Deckmate Ladder clients include: railroad, oilfield companies, power companies and steel companies as well as numerous trucking companies. Jumping from trailers, vans or heavy equipment creates high impact force to the joints that will increase potential slips and falls immediately after landing. 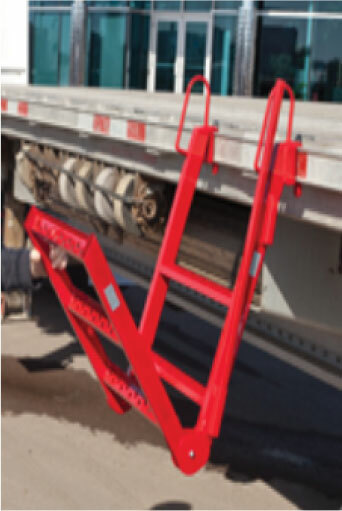 With the Deckmate trailer ladder, you can prevent these injuries and time missed from work. Unlike a standard ladder, the Deckmate hooks securely onto the rub-rail to stay in place.